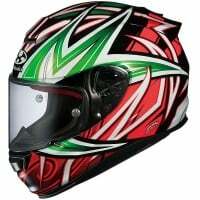 Kabuto have been pushing the boundaries of motorcycle helmet design and technology since 1982, and are dedicated to furthering their products in the pursuit of aerodynamic perfection. As the grandfather of 'wake stabilising' technology, Kabuto's helmet innovations have often been copied, with traces of their designs being apparent in just about every brand of bike helmet available today. 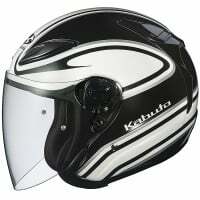 Although famed for their premium race bred models, Kabuto produce a wide range of motorbike helmets designed to suit all bikers and despite their commitment to produce a helmet to suit all budgets, Kabuto refuse to compromise on quality and continue to manufacture in Japan as they have since day one. 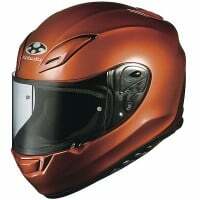 I purchased a large helmet initially (my usual size) but found that it hurt after an hour so replaced it with the extra large. I liked everything else so kept to the same model. 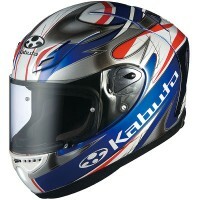 It provides good visibility and is now comfortable. Seems reasonable quality too.